Suge Knight has been arrested for murder in connection to a “fatal traffic incident” in West Hollywood, the Los Angeles County Sheriff has confirmed. The Death Row Records founder is being held on bail of $2 million. Marion “Suge” Knight had earlier surrendered to police after he was declared a suspect in a hit-and-run where one man died. Another man was injured and although he is currently in hospital, his condition is not yet known. Around 3PM on January 29, a man fitting Suge Knight’s description drove to a burger shop and began rowing with two people, said Lt John Corina of the LA County Sheriff’s Department. The driver then backed into one of the victims, before running them both over. The record 49-year-old producer is said to have left the scene in a red Ford pickup truck, the police said. Suge Knight was involved in an earlier fight with the pair at a different location, John Corina added. One of the victims died in hospital, according to the Sheriff’s Department statement – while the condition of the second victim, who was also taken to the hospital, has yet to be confirmed. A lawyer for Suge Knight seemed to confirm the rap legend had been driving at the time, but claimed it was an accident and he was running away from attackers. “He was in the process of being physically assaulted by two men and in an effort to escape he unfortunately hit two (other) individuals,” James Blatt said. Suge Knight founded Death Row Records in the 1990s, but later declared bankruptcy and the company was auctioned off. In August 2014, Suge Knight was shot six times at a nightclub in Los Angeles. No arrests have been made. In November 2014, he pleaded not guilty to a robbery charge filed after a celebrity photographer accused him of stealing her camera in Beverly Hills. The music boss has previously been convicted of armed robbery and assault with a gun. He has also served time for violating probation. 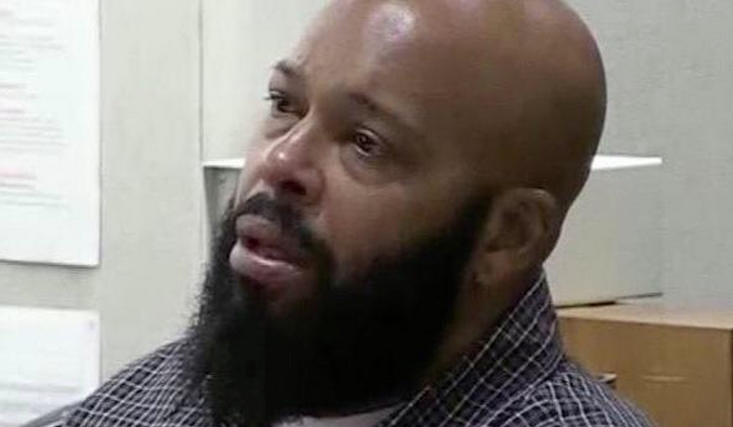 Suge Knight could face up to 30 years in prison because of prior convictions.